This 3-piece drill-power all-purpose cleaning kit is great for bathroom sinks, tile, grout, showers, tubs, toilets, and much more! These are three of our best selling brushes! Top quality polypropylene construction with nylon bristles. 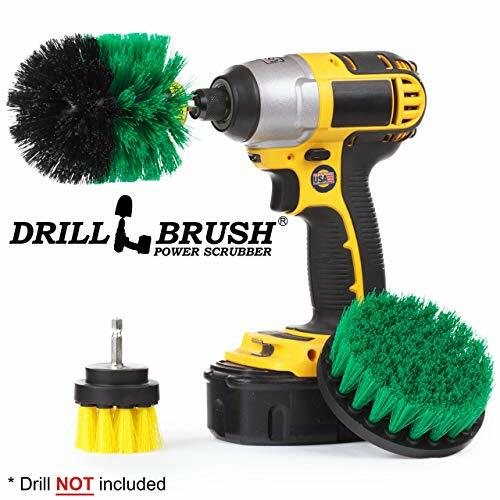 Includes 4" Green medium bristle, 2" Yellow medium bristle, and Green and Black Original Drillbrush Power Scrubberbrushes. Fast shipping. DRILL NOT INCLUDED. 3 piece drill powered brushes all purpose starter kit.